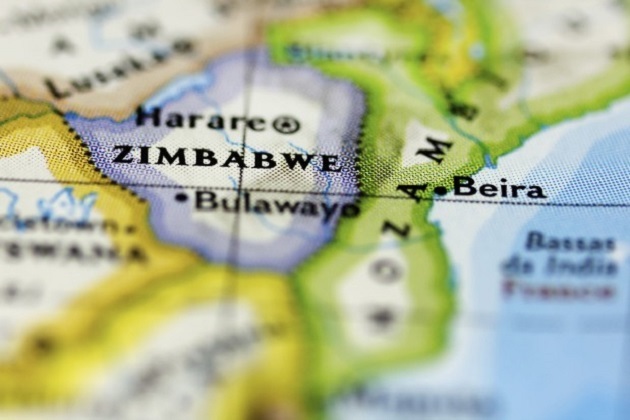 ZIMBABWE – In just under three years’ time Zimbabwe is due to hold its eleventh election since it attained independence from colonial Britain in April 1980. And in a rare spate of strategic forward thinking, President Robert Mugabe’s ruling Zimbabwe African National Union Patriotic Front (ZANU-PF) is already sending signals that it wants to gain control over the country’s local governments. The 2018 general elections will see voters elect their representatives for local government, parliament and presidential at the same time. The country’s urban areas have for a long time been the preserve of the main opposition, the Movement for Democratic Change (MDC) led by Morgan Tsvangirai–Mr Mugabe’s political nemesis. But, stung by the years of rejection from urban voters and the relative ease with which the MDC has maintained its presence in urban areas, ZANU-PF is using a combination of charm, coercion and party loyalism to get its way. The Zimbabwean electorate has traditionally been split between town and countryside. ZANU-PF’s hold on power can be explained in part by its close links with the countryside, from whence it derives the bulk of its support. The MDC, on the other hand, with its “Mugabe must-go” mantra and careful exploitation of the country’s ongoing economic crisis, which it has blamed on the incumbent, has mainly appealed to urbanites. There is an obvious reason for ZANU-PF’s continuing dependence on its rural support base. During the war of liberation in the late 1970s, the party–then an armed revolutionary movement–relied on the rural population for the shelter and sustenance for its guerrilla fighters in the fight against the Rhodesian military. In post-independent Zimbabwe, the party has nurtured that close-knit relationship for nearly four decades. Its major national programmes, which include land reform and indigenisation, have carried a strong undertone of bias towards rural voters. In short, ZANU-PF has traditionally focused on rural populism to win votes at elections. The key tenet of the land reform programme was to transfer agricultural land to landless blacks, while the indigenisation programme pressed for the control of key resources by indigenous Zimbabweans. These messages have resonated strongly with rural voters. Some 67% of Zimbabwe’s 13m population lives in the rural areas, with only 33% making up the urban population, according to the Zimbabwe National Statistics Agency’s 2012 population census. But in July last year, Mr Mugabe appointed Saviour Kasukuwere as the minister of local government, public works and national housing. Mr Kasukuwere’s reputation precedes him. A shrewd politician, he is widely seen by observers as a top party loyalist brought in to deliver local government to ZANU-PF, at whatever cost. Political observers expect Mr Kasukuwere, who is also the ZANU-PF national commissar, to plot a ruthless ZANU-PF campaign for the 2018 general elections. “My mandate is very clear; it is on improving service delivery. For far too long the MDC has taken the people for a ride, and as a result service delivery has collapsed,” Mr Kasukuwere told Africa in Fact. “Our people for long have suffered from poor service delivery at the hands of the MDC; there has been a lack of water and provision of basic services.” In his mission “to improve service delivery” at local councils, Mr Kasukuwere has not been shy to use a heavy hand. After his appointment in July, he promised that he would “clean up” Harare and return it to its reputation as a “Sunshine City”. As part of this, he gave the green light to municipal police officers in Harare to forcibly remove vendors from the streets, blaming them for fuelling urban squalor. A few days after Mr Kasukuwere’s condemnation of the vending activities in Harare’s central business district (CBD), municipal police launched a blitz against vendors. In the early hours of the morning on July 11th last year, Harare municipal police raided vendors and confiscated their wares in a bid to flush them out of the CBD. But Dewa Mavhinga, a senior Africa researcher at Human Rights Watch in Harare says Mr Kasukuwere’s “clean-up campaign” has only resulted in an escalation of police harassment and arrests of street vendors in Harare. “The lack of a vending license is no grounds for beating and jailing people who are desperate to earn a living,” Mr Mavhinga said. Meanwhile, the MDC remains unconvinced that Mr Kasukuwere has transformed himself into a fervent champion of service delivery. The “clean-up” of local councils, it says, has mainly been pursued for political reasons. In the view of the MDC’s national spokesperson, Obert Gutu, Mr Mugabe has deployed Mr Kasukuwere to do a “hatchet job” for ZANU-PF. “We see it as a 2018 strategy to gerrymander the urban vote,” Mr Gutu said in a telephone interview. This would not be the first time that ZANU-PF has tried to win the hearts and minds of urban voters. In the run-up to the 2013 polls, it attempted a form of urban populism by ordering a write-off of all utility bills owed by urban residents accrued after the dollarisation of the economy in February 2009. The directive has been blamed for further deteriorations in service delivery and a ballooning debt-overhang of nearly $500m owed to local government across the country by urban residents. Still, ZANU-PF chooses to turn a blind eye to its own role in the deterioration of service delivery in urban areas. Instead, in instances where currying favour seems to fall short, ZANU-PF is not shy to use its political muscle. In August, Mr Kasukuwere suspended the mayor of Gweru, the capital of the Midlands province, Hamutendi Kombayi, and 18 councillors on allegations of graft and misconduct. Mr Kombayi and the suspended Gweru local council are members of the MDC–fuelling suspicions that the decision was largely motivated by political considerations. According to section 278 of the Zimbabwean constitution, mayors, chairpersons and councillors can only be removed from office by an independent tribunal. And only on the grounds of their inability to perform the functions of their office due to a limited set of reasons, including mental or physical incapacity, gross incompetence, gross misconduct, conviction of an offence involving dishonesty, corruption, abuse of office and the wilful violation of the law. In effect, Mr Kasukuwere’s unilateral suspension of local government officials in Gweru has placed him above the law. His dual role as local government minister and national commissar of ZANU-PF is at the centre of the the ruling party’s efforts to consolidate its power over state and party structures ahead of the 2018 polls, says Alex Magaisa, a United Kingdom-based lawyer and former legal advisor to Mr Tsvangirai. As his party’s national commissar, Mr Kasukuwere’s role is to mobilise grassroots support and set up party structures throughout the country, among other things. But as local government minister he will gain access to the cities–previously no-go areas for ZANU-PF. In the case of Mr Kombayi’s suspension, Mr Kasukuwere’s interim appointments to run the city of Gweru have been dismissed by the suspended councillors. Speaking at a press conference soon after his removal from office in August, Mr Kombayi told journalists that it was laughable that they had been fired for, among other things, going for council-sanctioned trips and a few councillors pocketing as little at $300 each. “We sense political skulduggery at play here,” Mr Kombayi said. “When the opposition talks of electoral reforms, they must realise that, in fact, Mr Mugabe and ZANU-PF are consolidating the [party] structures [to] give them[selves] an advantage, and no reforms of the Electoral Act will [be allowed to] affect those structures,” Mr Magaisa said in an e-mailed response to questions. Zimbabwe’s economic decline, which has lasted for over a decade, continues. ZANU-PF’s rhetoric targeting urbanites, that it be given a chance at local governance in the country’s major cities, will likely fall on deaf ears, as the overarching economic crisis continues to deepen. The MDC on the other hand, will only have to sit back and blame deteriorating service delivery on the country’s larger economic malaise–and thus squarely put the blame on shoulders of the powers that be.